The seasons between are arguably the best time to travel. Take November in Northern Michigan, when travel means bargains, creative packages, affordable places to gather with a group, and small-town kickoffs of festive holiday fun. Pick one of these 10 Northern Michigan vacation deals from Ludington up to Whitefish Point to perk up the 11th month. This story was originally published in the November 2015 issue of Traverse, Northern Michigan’s Magazine. Get pampered, spa style, with buttered rum in your scrub and the scents of spiced rum pudding in your wrap, when you book Boyne Mountain’s spa renewal package. At $161 a person (per night), you receive $120 credit toward spa treatments of your choice. Lingering by lobby fireplaces and in toasty outdoor pools is free. Boyne.com. Watch the month’s infamous gales from your cozy guest room, where you’ll still be immersed in power and history at the remodeled Coast Guard crews quarters on Whitefish Point, once the sleeping rooms of those who patrolled the Lake Superior shoreline for shipwreck victims. Rent through Nov. 10, when an annual service commemorates the loss of the Edmund Fitzgerald with the ringing of the ship’s salvaged bronze bell. Shipwreckmuseum.com. Go a’caroling, wave as Santa passes, and shop a traditional Christmas market in the square at “Ludington’s Aglow on the Avenue” holiday parade; then stay in a Victorian inn aglow, Nov. 28. Cartiermansion.com. Book this Iron County log and cedar shake hunting/fishing cabin, and you may not even want to journey out beyond the floor-to-ceiling windows overlooking a semi-private lake and the occasional bald eagle. homeaway.com/vacation-rental/p327168. Gather the gang with no headaches at Elvyn Lea (translated: “meadow of elf friends”), a Walloon Lake–area pine lodge set up specifically for intimate friend and family groups or retreats of up to 80 guests. Innkeepers can arrange your locally sourced dinners and activities—be that stargazing with local astronomers, in-house massage or a private yoga class. elvynlea.com. Explore your creative side at Interlochen College of Creative Arts, where in November, class options let you paint with soft pastels, learn calligraphy, start that novel, even master holiday carols on the mountain dulcimer—all while staying in an onsite room or lodge (the college is on the campus of Interlochen Center for the Arts). College.interlochen.org. Cook up a tasty adventure with friends at the new Ladies Night Out, Nov. 10 at Treetops Resort in Gaylord, where under the tutelage of Chef Joel Quay, the group enjoys ample sampling of demo dishes, dinner and wine after. $30 a person, lodging extra. Treetops.com. Catch an exhibit about Henry Ford, at one time the largest landowner in Michigan’s Upper Peninsula, at the Marquette Regional History Center (145 Spring St.), and learn how the auto mogul ran mines and mills in an effort to control all the resources involved in auto making. (He even famously camped across the peninsula to inspire Model T owners to enjoy the great outdoors.) Stay: the Landmark Inn, where past guests include Amelia Earhart and Abbott and Costello. Travelmarquettemichigan.com. 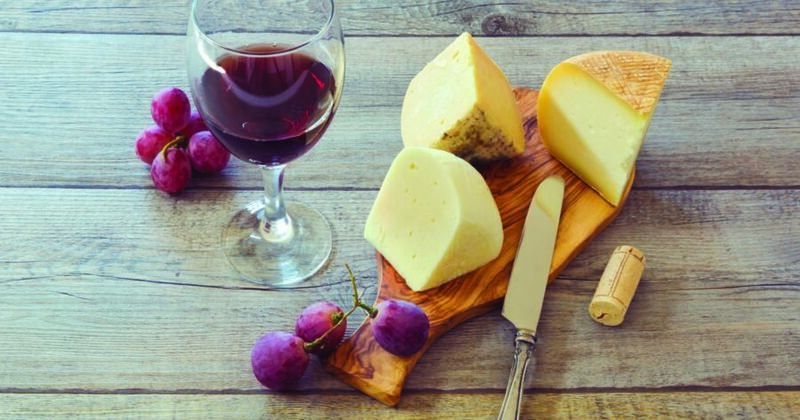 Make wine and cheese your theme at the Great Macaroni and Cheese Bake-off (Nov. 28), where Traverse City–area chefs compete to make the tastiest entry, paired with Old Mission Peninsula wines. Then stay awhile. If you book a room for Sunday, Chateau Chantal will give you half off that Monday night in their winery inn. Wineriesofoldmission.com. Solve a whodunit, gourmet style, at Thunder Bay Resort’s annual November Murder Mystery Weekend. Whether you find the suspect hiding amid the on-site elk herd, or not, you’ll love the setting and famed horse-drawn wagon ride to a wine-pairing dinner. Nov. 13. thunderbayresort.com. Traverse travel editor Kim Schneider writes from Suttons Bay.